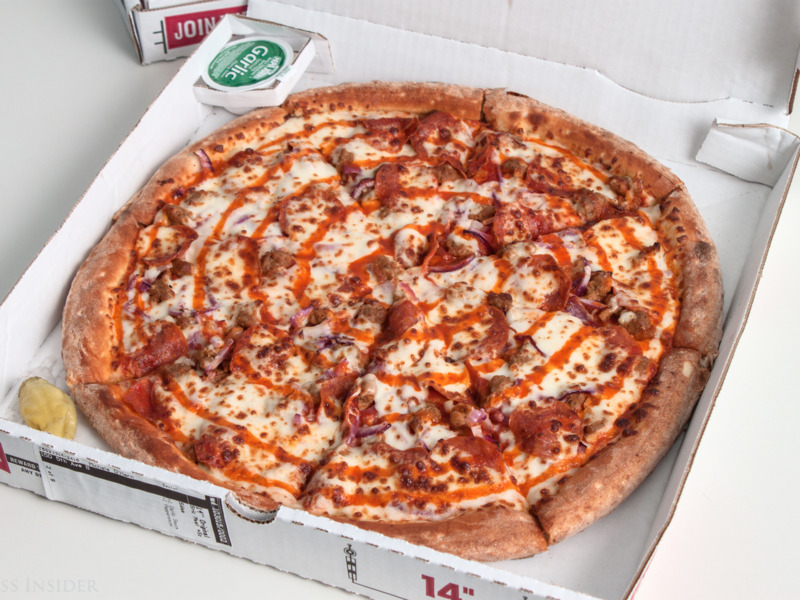 Papa John’s is Americans’ favourite pizza chain — and executives say it’s because the company invests more in quality than the competition does. Papa John’s was the top pizza chain in the American Customer Satisfaction Index (ACSI), with a score of 82 out of 100. This is the 15th time out of the previous 17 years the chain has earned top marks in the pizza industry in overall customer satisfaction. In fact, the pizza chain was second place for customer service out of all limited-service restaurants, beaten by only Chick-fil-A. According to Papa John’s president and COO, Steve Ritchie, the reason for the chain’s dominance is simple. The company spends roughly $100 million a year on beating out the competition when it comes to quality. 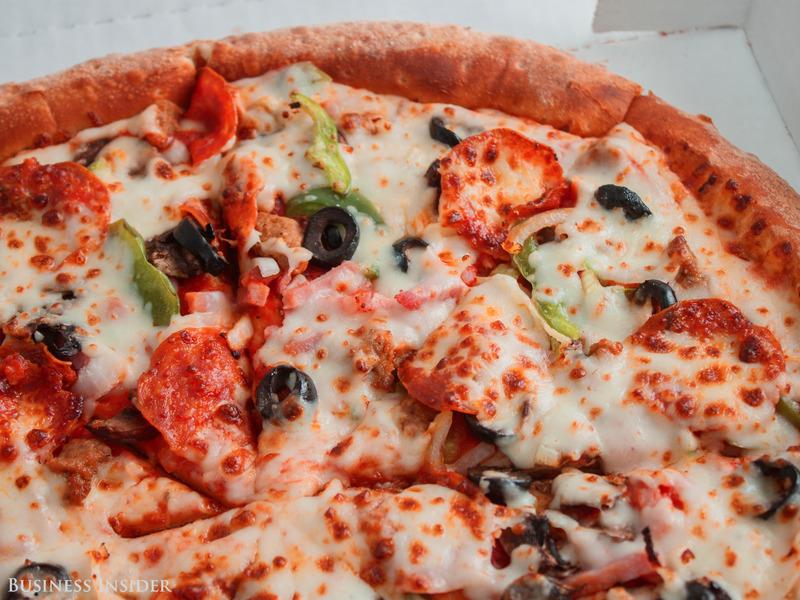 Papa John’s uses fresh sauce and dough, as well as fresh-cut vegetables — costly choices that allows the chain to charge more and, ideally, boost customer satisfaction. The focus on quality has paid off when it comes to sales, with the company reporting 13 years of consecutive same-store sales growth in the US. However, quality goes beyond ingredients. 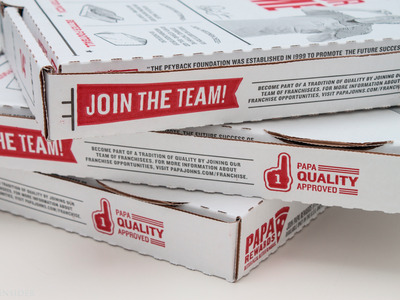 For Papa John’s ease of ordering is also key to customer satisfaction, resulting in major investments in tech. More than half — 55% — of Papa John’s sales are now through digital channels. Of these, 60% are from mobile devices. Ritchie says that Papa John’s invests about $20 to $25 million a year on new technology. Most of this money isn’t spent on flashy new products, like rival Domino’s no-touch app ordering. These little things — whether they be fresh vegetables or brighter buttons — add up. “On a Friday night, we can get up a thousand orders a minute that are coming in,” says Richie. 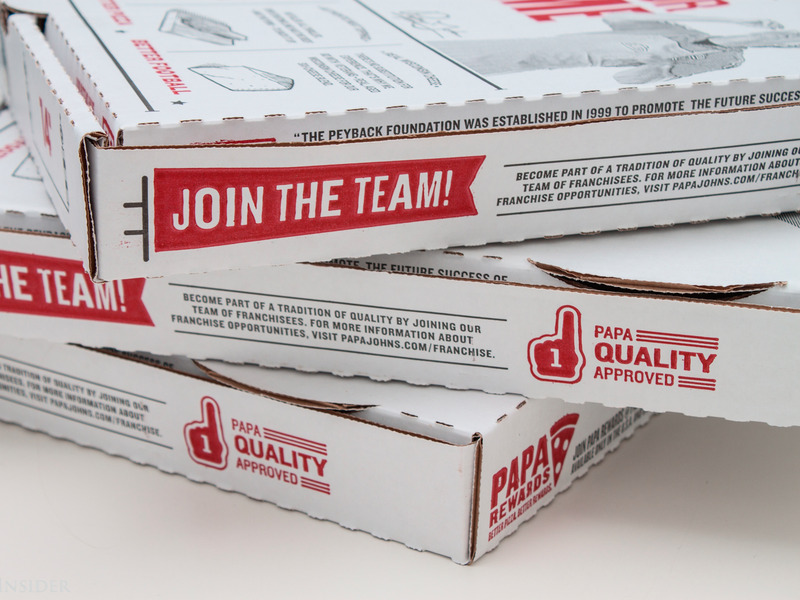 Thousands of orders means thousands of chances for missteps and angry customers, making Papa John’s customer satisfaction rating even more impressive. 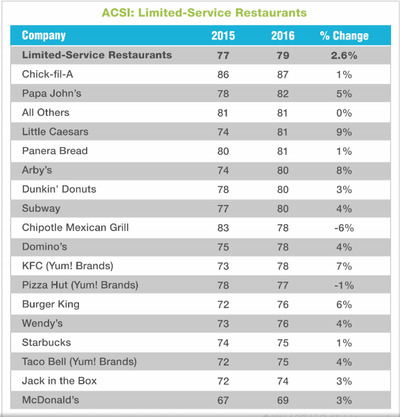 The next highest rated pizza chain in the ACSI report was Little Caesars, with a score of 81, followed by Domino’s with a score of 77. 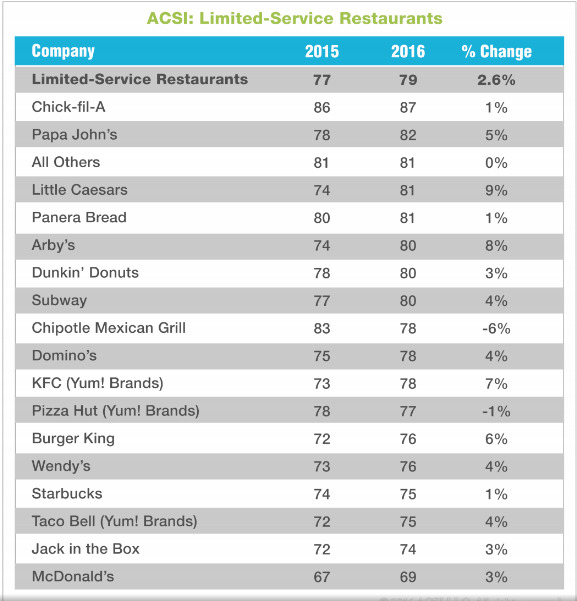 The ACSI report is based on interviews with 4,786 customers, who evaluate their recent experiences with the largest fast-food restaurants in the US in terms of market share. Respondents rate items such as order accuracy, friendliness of staff, food quality, and restaurant cleanliness.